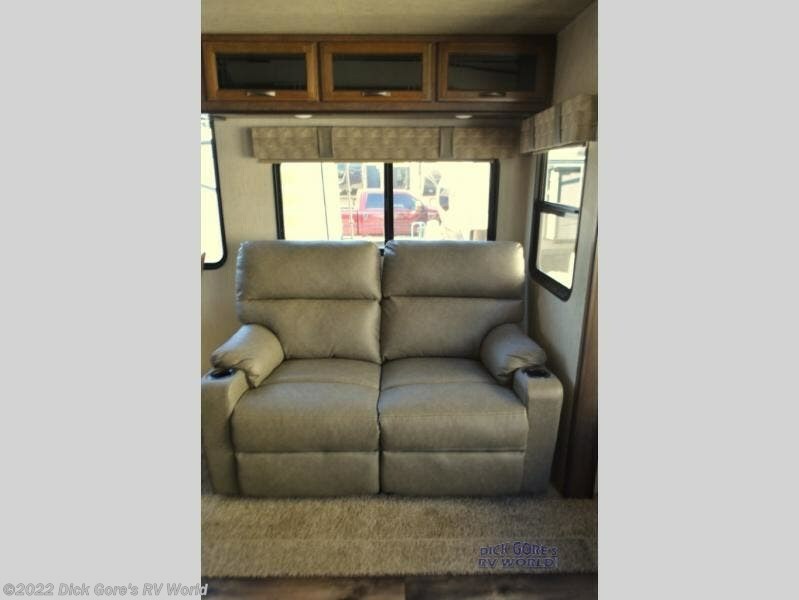 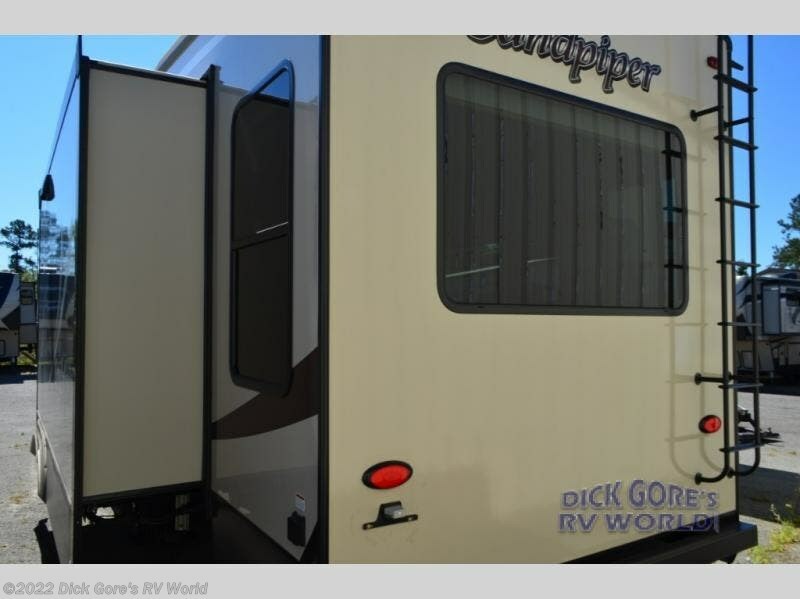 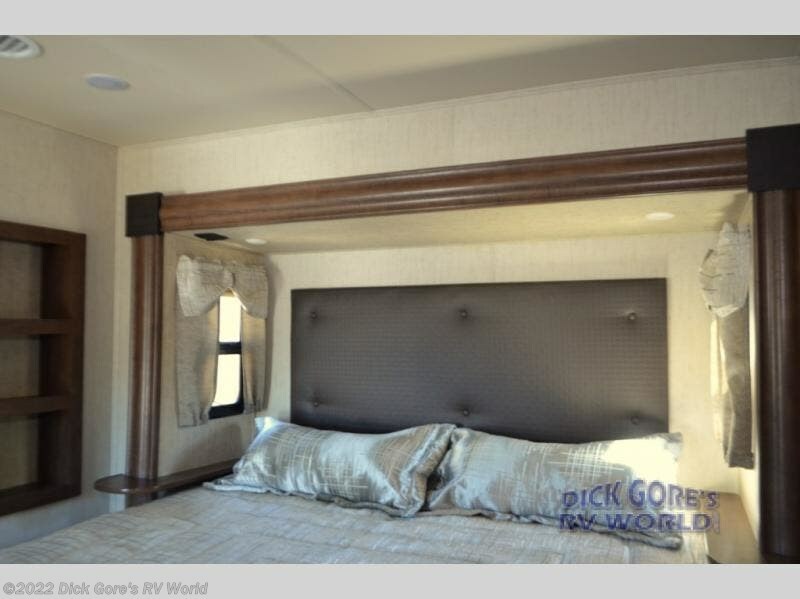 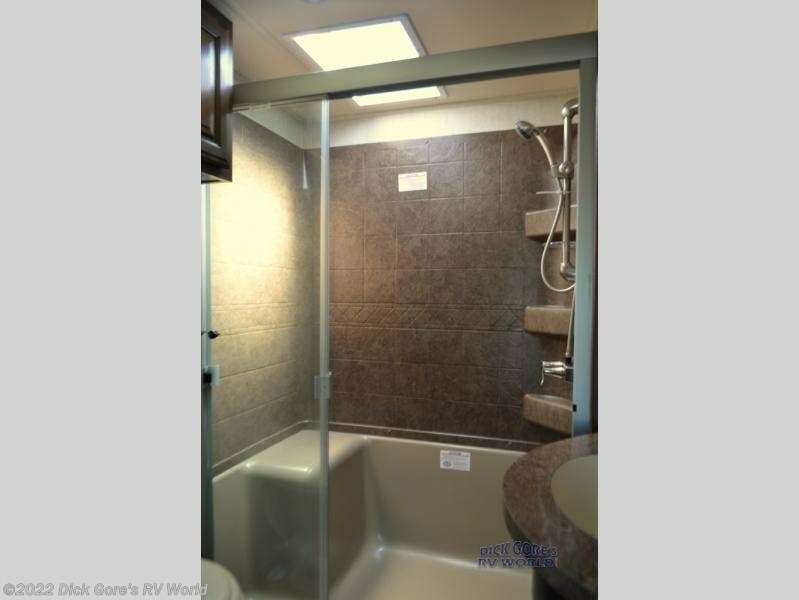 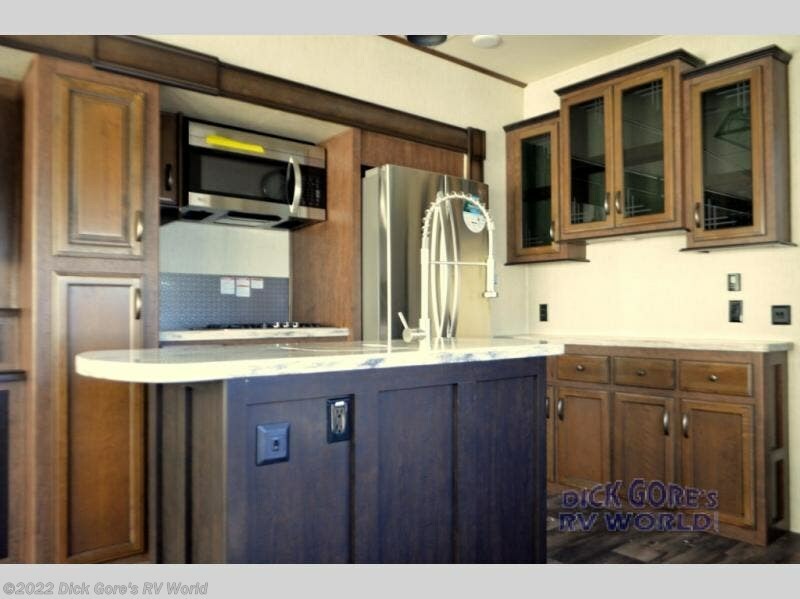 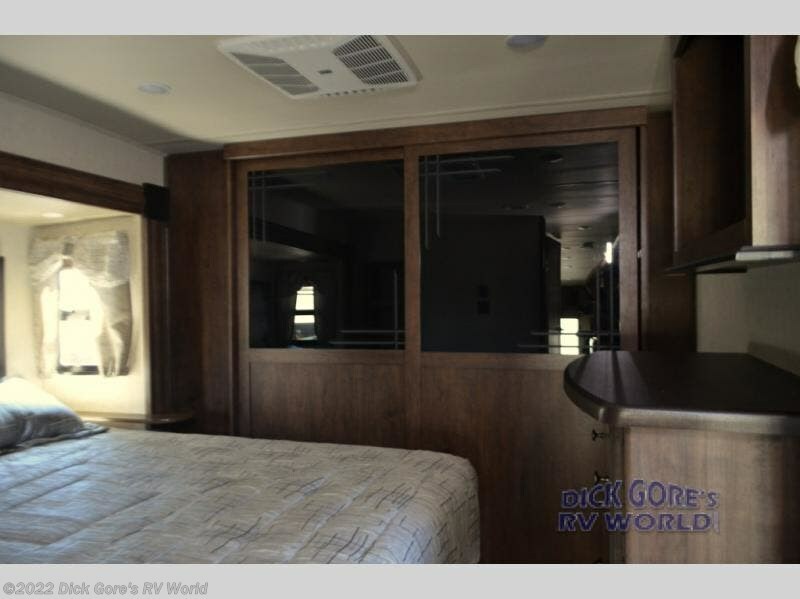 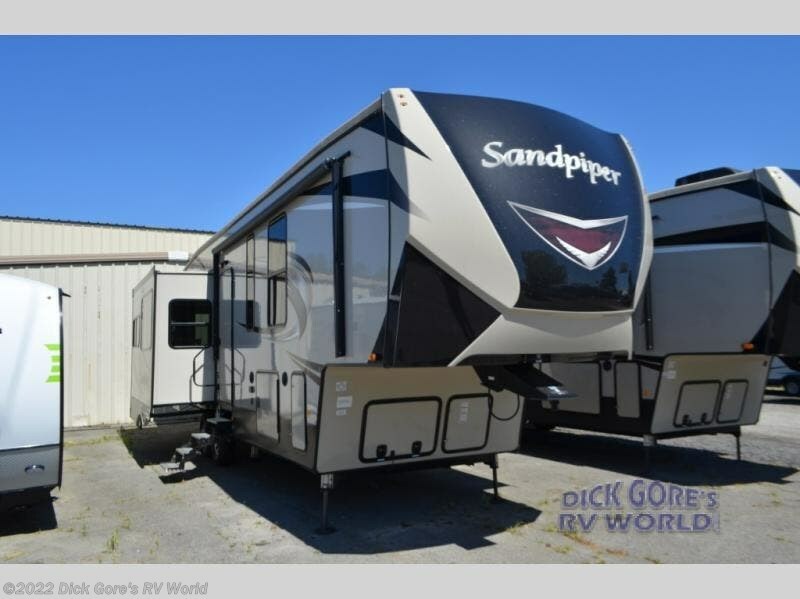 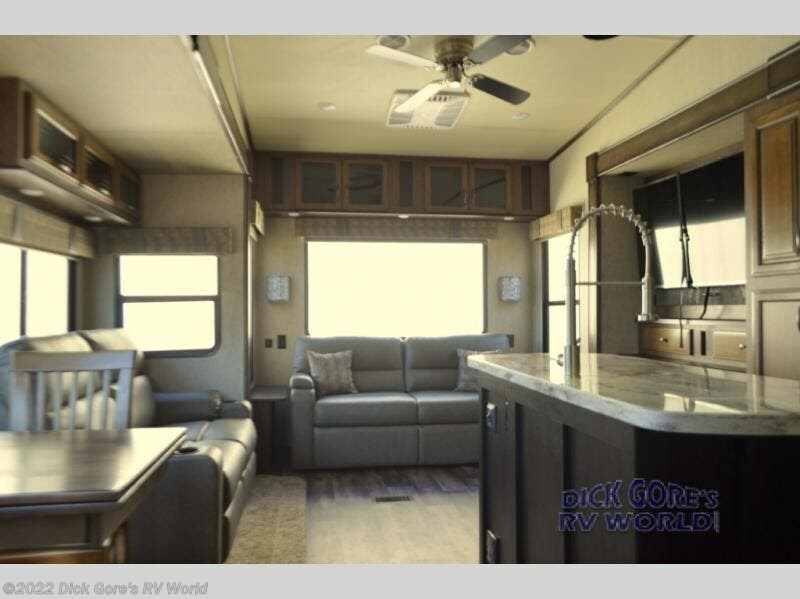 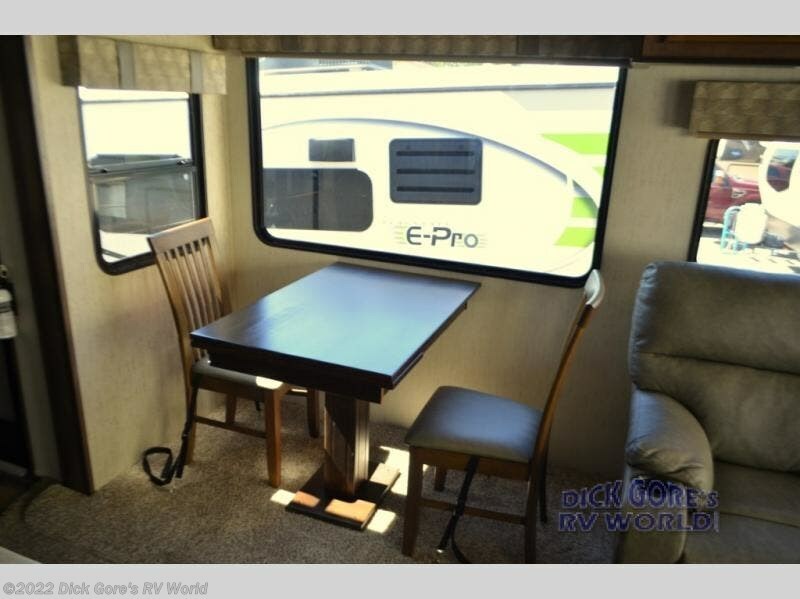 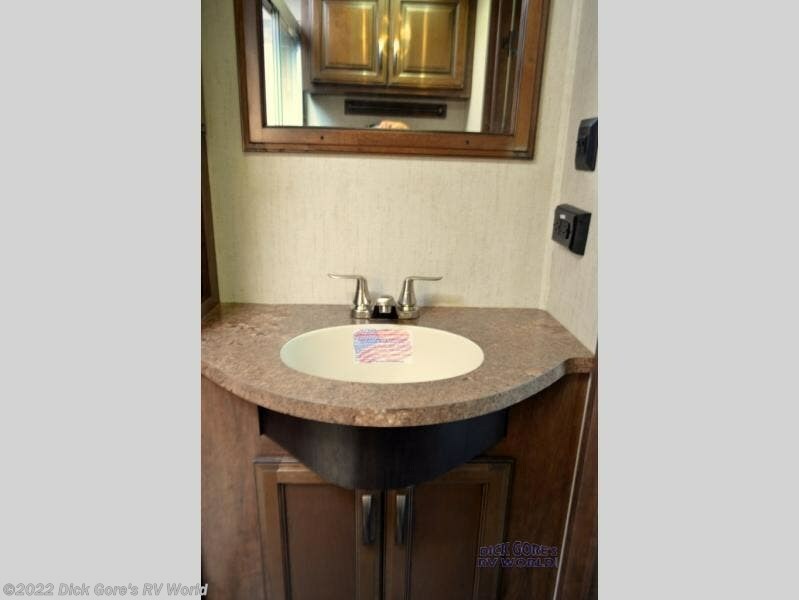 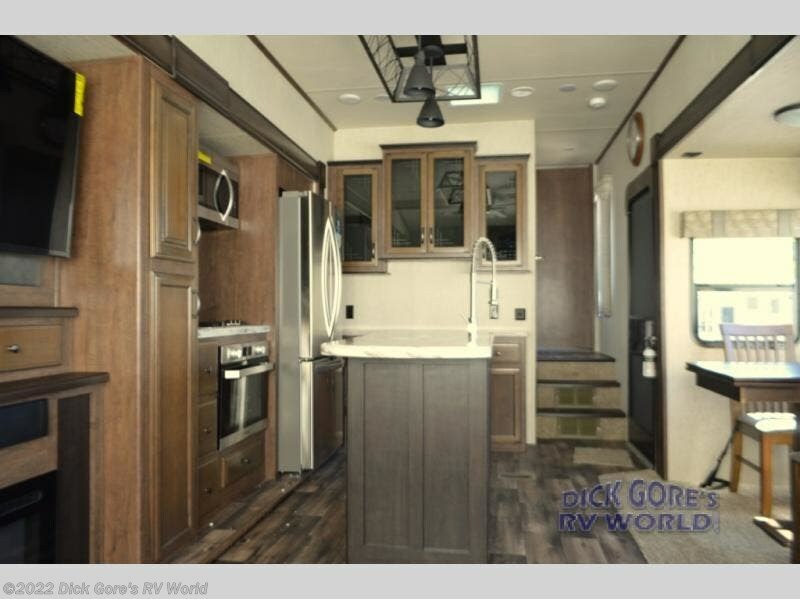 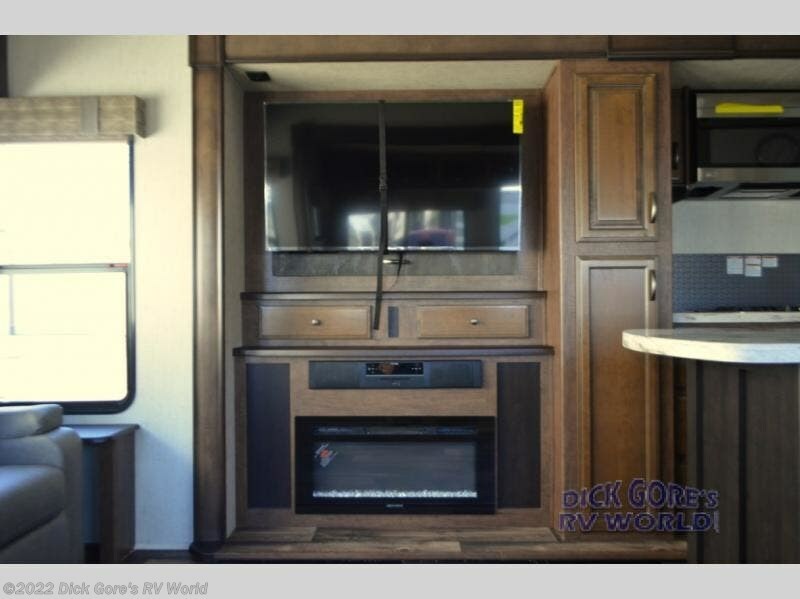 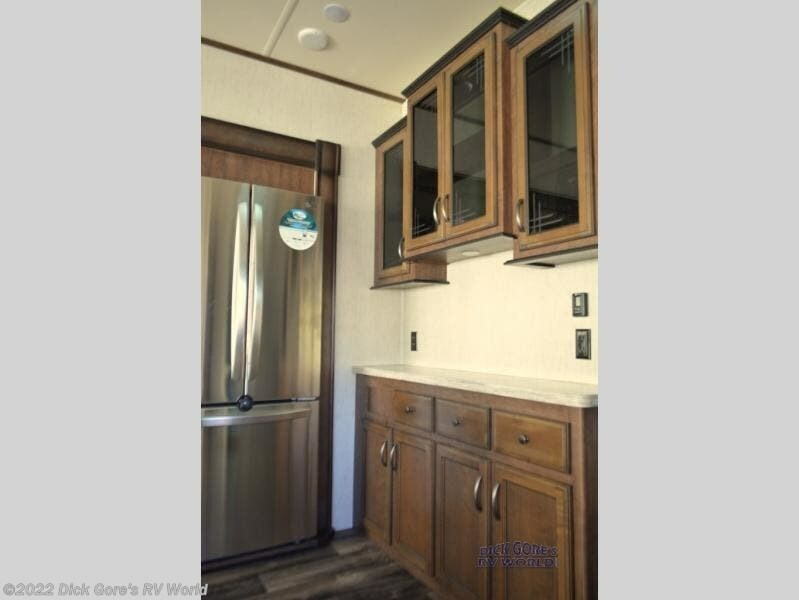 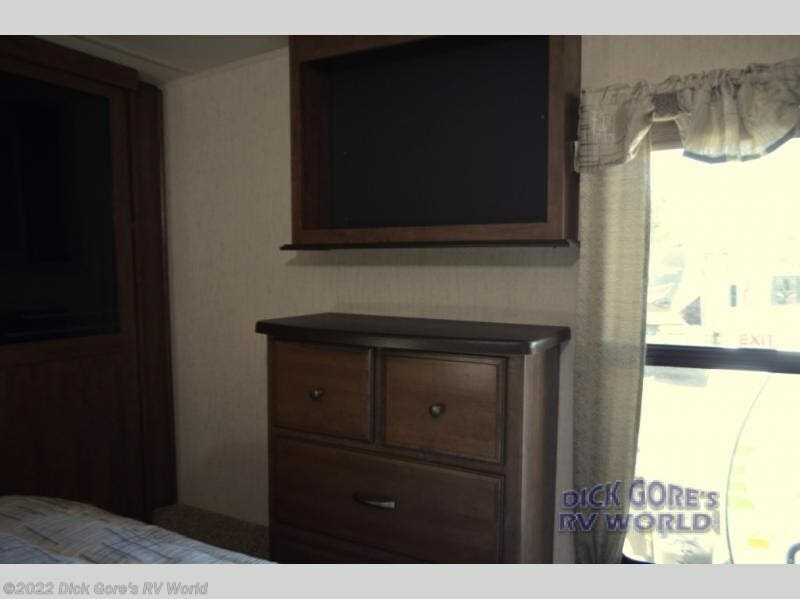 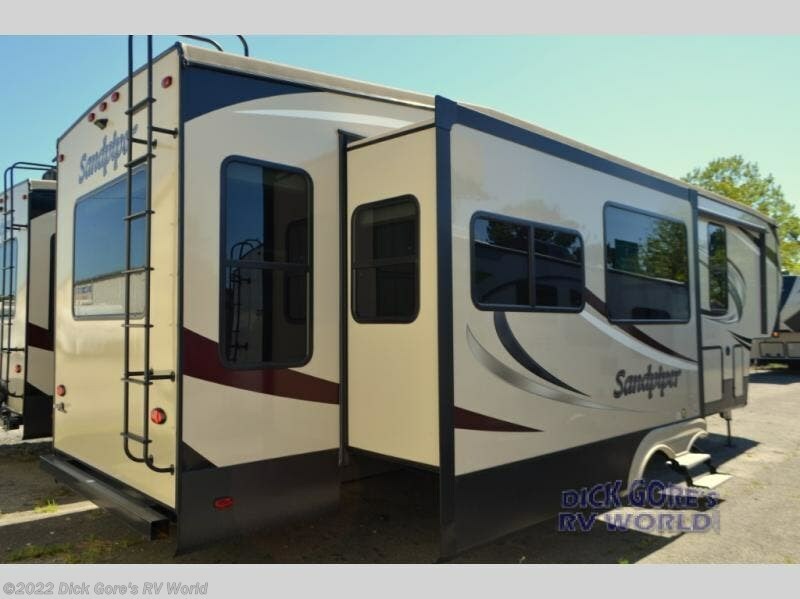 From its decked-out living area to its comfortable bedroom oasis, this Sandpiper fifth wheel is more than an RV: it's a home! 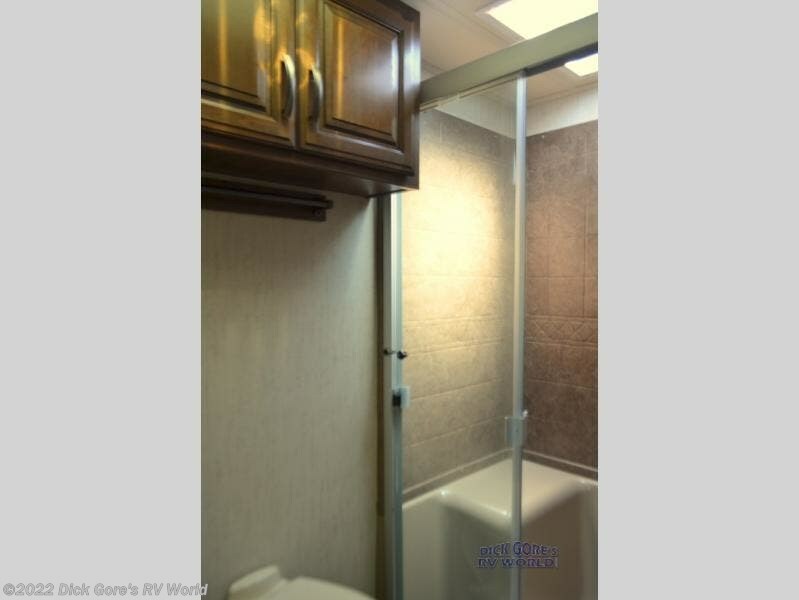 Beginning each morning in the full bathroom will be a luxury with its walk-in shower with seat, upgraded adjustable shower head, and etched tile pattern in the shower surround, and the pendant lights that have been hung above the kitchen island will make you feel glamorous as you sip your morning coffee and prepare breakfast on the three-burner range top. 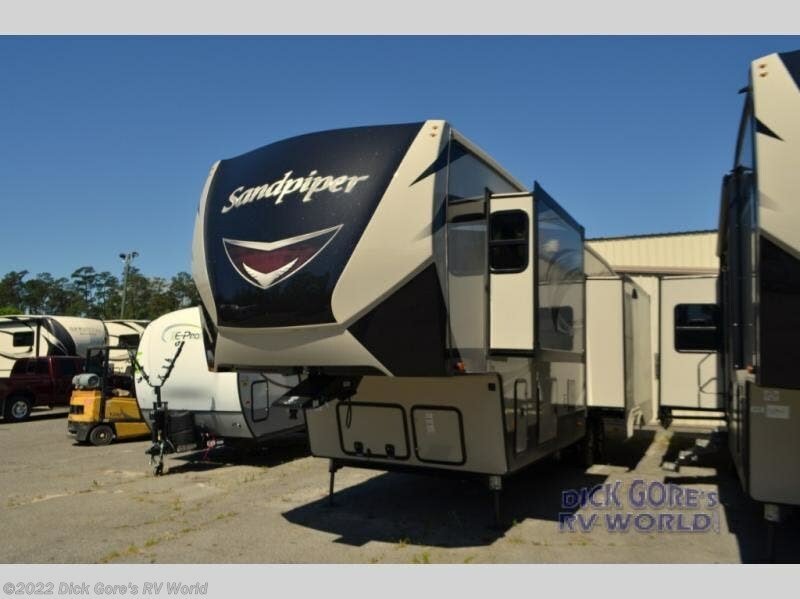 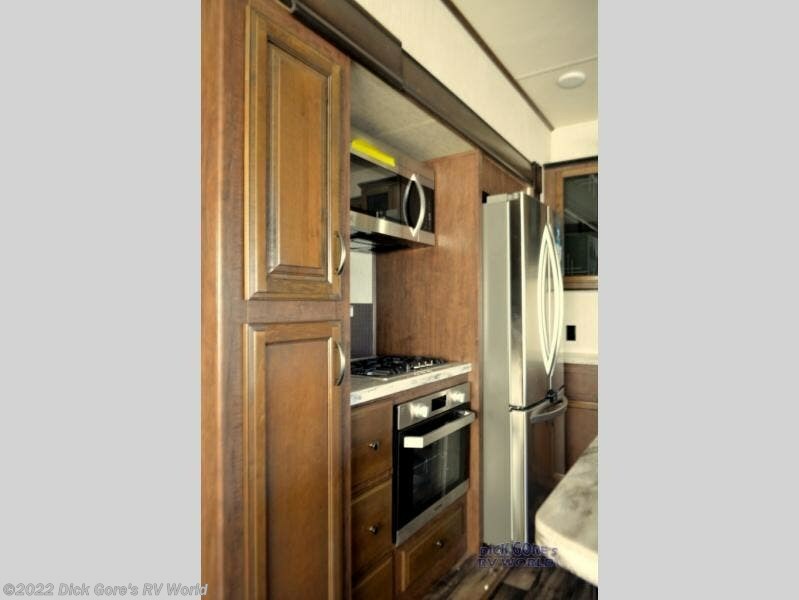 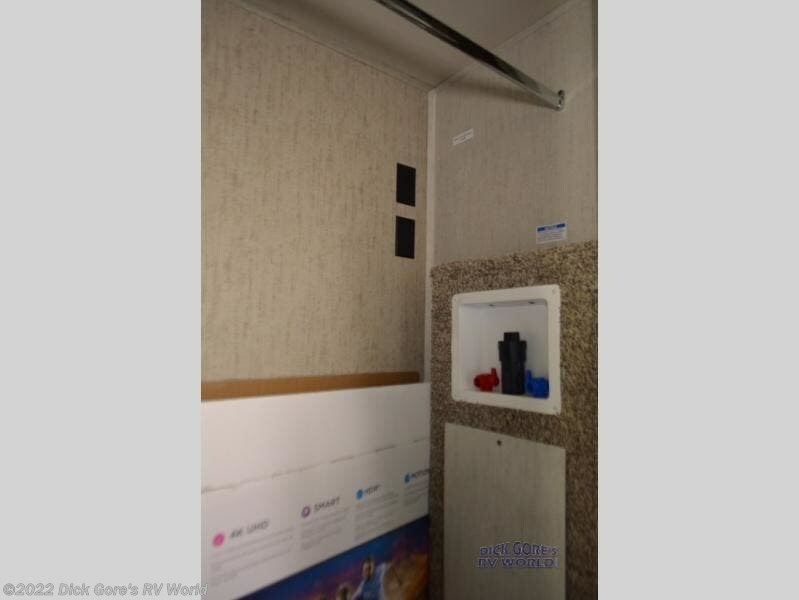 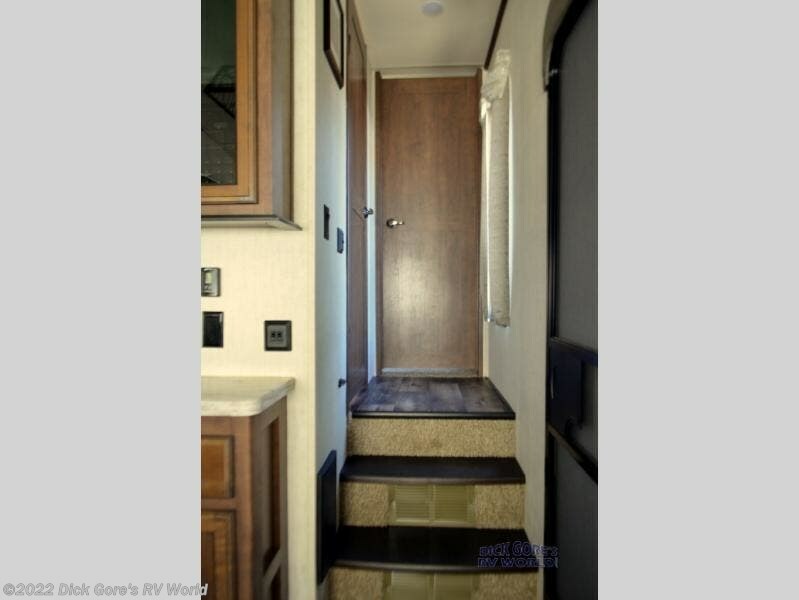 Check out Stock # KJ038481 - 2019 Forest River Sandpiper 33RLIK on forestriverrvsource.com!